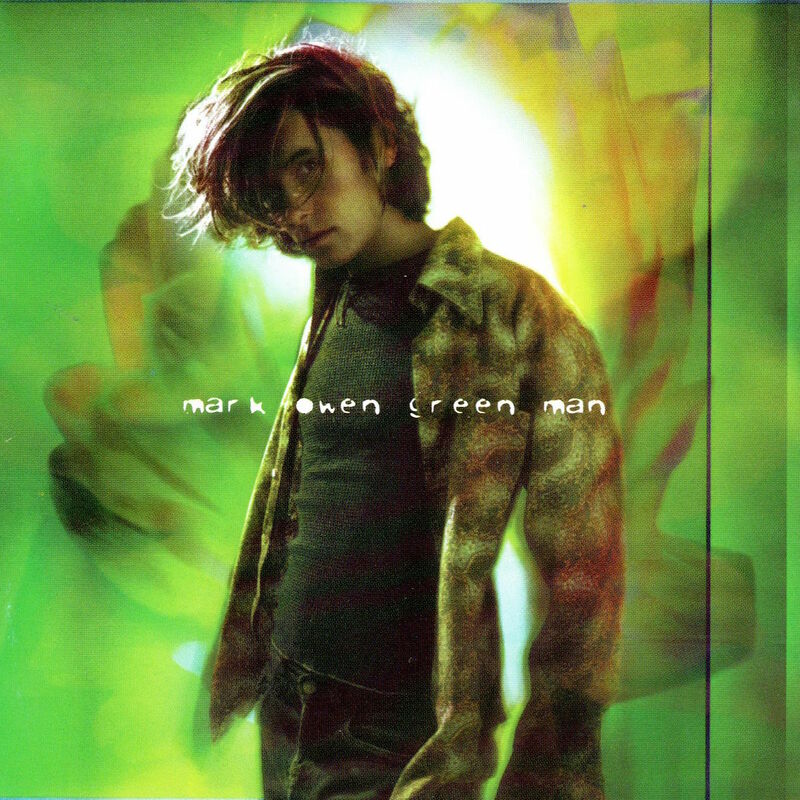 Today’s POP RESCUE from a loveless fate, is the 1996 debut solo album Green Man from Take That‘s Mark Owen. This 12 track album opens with the title track, Green Man, ushered in by electric guitars before switching to some twangy, funky, guitars and plenty of percussion. Mark’s vocals and sound here are at a distance from the Take That sound that had surrounded him for years. This song wouldn’t go a-stray on the Kula Shaker album K, which was also released in the same year, and featured the same legendary producer – John Leckie. Next up is second single Clementine. This track is far more warmer – with piano, lighter guitars and gentle percussion, and it is far more catchy. It managed to reach #3 in the UK charts in early 1997. His huge hit, and debut solo single, Child, follows this. You’re either a lover of this song, or you really hate it. I’m on the former team – it’s a great song, that orchestrally, lyrically, and vocally shines here. Unsurprisingly, it was released in the run-up to Christmas, and I think that this helped bring it to #3 in the UK singles chart – that and the fact he’s shirtless in the video, which would have no doubt fuelled sales from his Take That fans. This is followed by Are You With Me, which at times reminds me of a Lenny Kravitz album track. It’s mellow, complete with ample flute. It’s a warm summertime song. In some kind of 60’s sounding romp, Naturally bounces in, along, and off again, with a tiny bit of Chas n Dave in the pub singalong style. Sixth track is Ask Him To, a slow ballad, about Mark dreaming of his lover running away with another bloke. The music here is a little wandering and uneventful, and the lyrics feel a bit straight-from-my-14yr-old-diary-esque. Next track Back Pocket And Me bursts in with a chorus, then a burst of music, a rush of percussion, and then…. some mellow and soft vocals. The track started off so well, but then stumbles into a fairly weak, unmemorable song, with only the chorus saving it (the same as the intro, and consisting of five words repeated). Move On is up next. The song is bouncy, reminds me a bit of 60s Beatles (John Leckie, producing here, worked alongside Lennon and Harrison in his early career) tracks meets Supergrass. There’s some lovely strings and guitars in this track, but Mark’s vocals are a bit swamped here. The track deserves some roaring vocals, but his are too soft. This is followed by Secondhand Wonderland – a great song title, and maybe would have felt like a better album title. The song has a delicate, eastern feeling to it – courtesy of the percussion and guitar/keyboards(? ), and the fact that Mark’s vocal drift here. This all fits together well, making a pretty good song, although at 5m 47s, it does begin to feel a little long-winded. Acoustic guitar and a rich string section open the delicate, slow, track My Love. This song feels almost like a lullaby and the companion to Child, with simple music accompaniment and Mark’s delicate vocals and lyrics. At about 2m 10s a beat arrives, and the song begins to build up, but thankfully it doesn’t try to reach too high. A lovely song. Third and final single I Am What I Am is up next. This was the beginning of the end of his solo success, reaching #29 in the UK singles chart. I remember it vaguely when it was released in the summer of 1997, but hearing this song again, makes me wonder who Mark is trying to impersonate. He is high-pitched, squeaky, squawky, and during the verses he’s almost trying to sing like some dreadfully American-accented version of Liam Gallagher. On the plus side, it could have been worse. The album closes with Is That What It’s All About, which is quite a nice, almost singalong song, but would have served perfectly as a b-side rather than as an album ending. I suspect that Mark Owen needed to release this album. But, with hits like Pray, Relight My Fire, and of course, Babe, he had a certain reputation to live up to… and in total, this album doesn’t deliver. This is primarily because it’s not Take That – he wrote ten of the twelve songs. This is Mark Owen. Where is Mark Owen now? After the release of his third single, which stalled in the charts, his label BMG Records dropped him in 1997. Mark Owen returned to Take That when the band re-formed in 2006. They have continued to release albums and find greater international success since they returned. However, like band-mates Gary Barlow and Robbie Williams, Mark has also continued to release solo albums, but to a much lower commercial success. His most recent solo album, his 4th, The Art Of Doing Nothing, was released in 2013 and proves to have been his most successful solo album so far – reaching #29 in the UK album chart. 1996 UK CHART POSITION: #33, certified Gold. Posted in 1990s, Mark Owen, Take ThatTagged 1996, album, Child, Clementine, Craig Leon, Green Man, I Am What I Am, John Leckie, review, Take ThatBookmark the permalink.